Massachusetts Republican Gov. Charlie Baker and Jay Gonzalez went head to head in their second debate Wednesday night, with just 3 weeks until Election Day. Although polls show Baker winning by a significant margin, he stumbled on his response to a critical question. When asked who has his Senate vote on Nov. 6 he revealed that he had no idea, despite endorsing Republican Geoff Diehl’s candidacy. Gonzalez did not let the opportunity slip, and was critical in pointing out Baker’s loyalty to the Republican Party, not the people he represents in Deep Blue Massachusetts. “I still can’t believe that the governor is asking people in this state to vote for Geoff Diehl and won’t say whether he’s going to vote for him, himself,” Gonzalez said during the debate. Gonzalez, a critic of the governor’s support for Diehl stated Baker’s response doesn’t make sense and shows his lack of transparency. Gonzalez went on to say that Diehl would be a “rubber stamp,” for President Trump’s agenda. Baker, a moderate Republican with a number of liberal views didn’t vote for Trump but did pledge early on to support Diehl, who co-chaired the President’s Massachusetts campaign. During the hour long debate on WGBH, Baker took a more cautious approach and said Gonzalez’s plans to make such vast fiscal changes in this state is not feasible. Meanwhile, Gonzalez, whose proposed plans are riskier, called out Baker on not doing enough to reform the status quo. Baker criticized Gonzalez’s single-payer health care system proposal, saying it would cost $30 Billion. 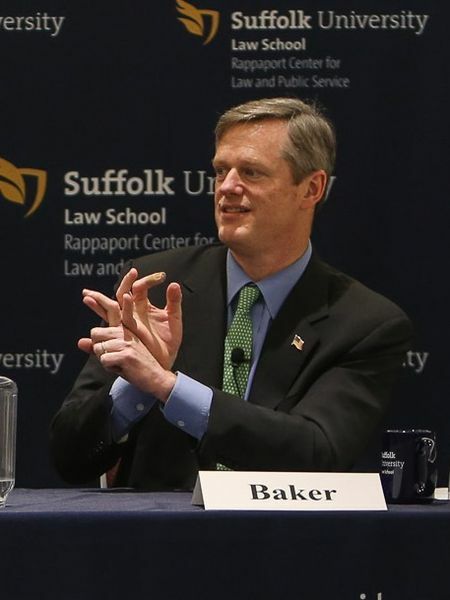 “That’s just a profound change in literally everything,” Baker said of proposal, which would essentially guarantee universal health coverage to all Massachusetts residents. Instead, Baker stated he’ll work to improve the current system by going after the cost of prescription drugs. Gonzalez refuted this and claimed the plan wouldn’t cost $30 billion and would save money in the long-run. Another point of controversy-Gonzalez’s proposal to tax the endowments of the state’s wealthiest universities like Harvard and MIT. Baker said this would make it harder for these schools to offer scholarships to students in need. He also said that he intends to push for another proposal to impose a surtax of 4% on people who make over $1million. This would help generate $3 billion each year, and Gonzalez says would use this money to improve schools and the MBTA.